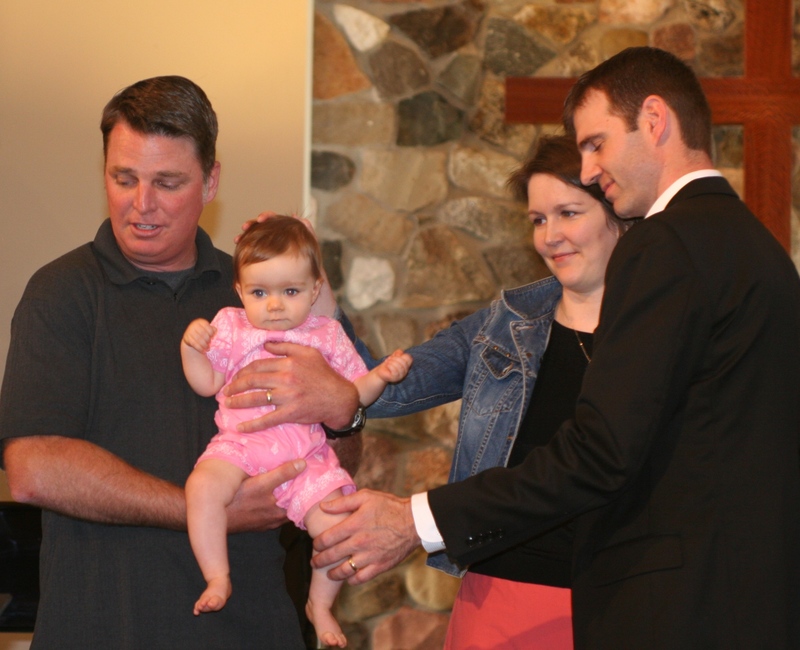 Huzband and I dedicated baby girl at church on Sunday April 22nd 2012. It was beautiful. Full of love for baby girl. We did the traditional “we do’s”, but we wanted to personally write promises (vows) to her. Huzband: We feel very blessed to be your parents, to honor this blessing I promise to be present, available, encouraging, supportive, and protective, but hopefully not overbearing. (Pastor: good luck.) Most of all I promise to model healthy relationships and pray that together we may grow in and truly experience the love of Jesus Christ and the presence of the Holy Spirit. Me: I promise to pursue the Lord with a willing heart. I promise to pray the word of God over, in and throughout your life. I promise to be quick to listen, slow to speak and slow to anger. I promise to teach you an eternal perspective. I was nervous. Family was converging. I was so thankful they wanted to be here. I didn’t know how to make each feel welcome and comfortable. So after days on worry and week of not sleeping, I prayed with huzband…confessing my desire to worry about what other people thought. I knew the boundary, how to protect my family. But I still used a ton of energy to worry, to play scenarios in back in my mind. I started a new day. 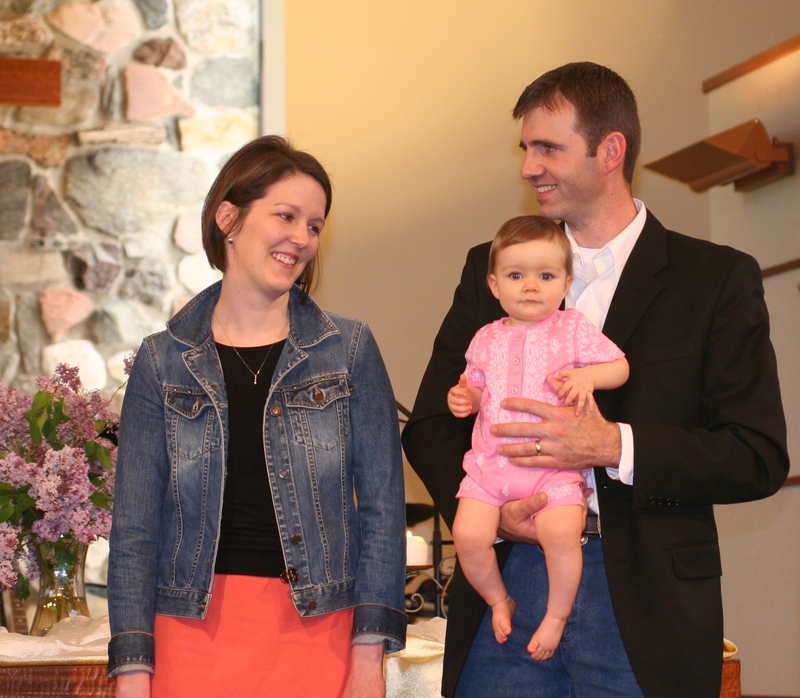 The Lord has specificly given baby girl to huzband and I to push us toward Him…it will be a blessing and a chalenge. This entry was posted in Project 52 and tagged faith, Project 52 by kyoung414. Bookmark the permalink.